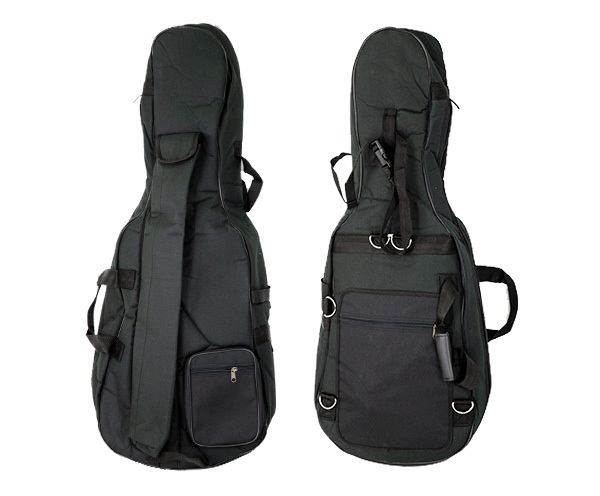 Enrico Deluxe black 20mm padded cello bag with music pocket and large accessories pocket. Bow pocket and padded bow sleeve. Heavy duty zippers, 5 handles, back-pack straps and clip-lock neck restraint.